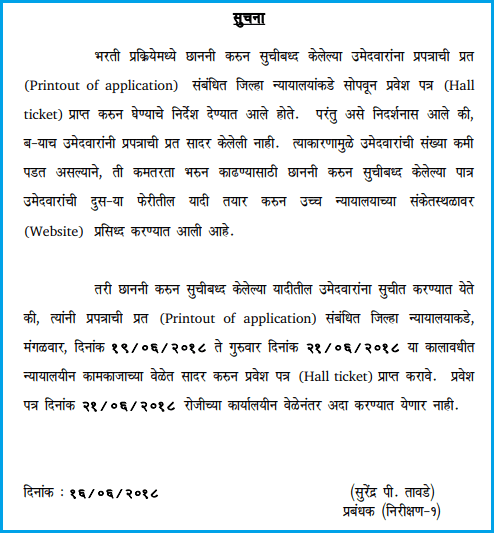 To download admit card / hall ticket 2018 for Bombay High court Jr Clerk, Stenographer, Peon/Hamal shortlisting, screening test, typing test and Interview, you will need to keep on reading. Are you preparing well for the Bombay High court recruitment 2018 exam? 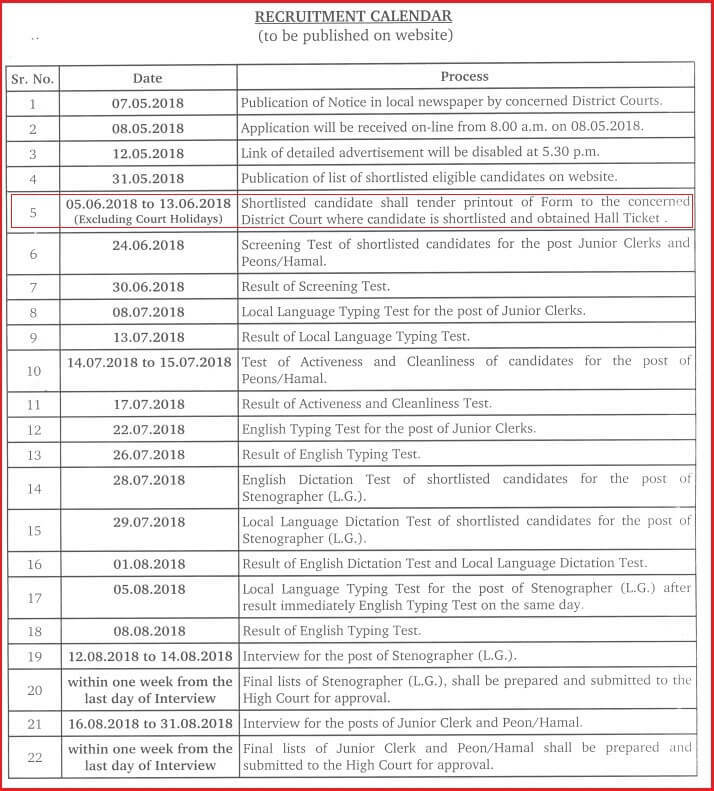 The Bombay high court recruitment 2018 for 8921 posts of Peons (hamal), Stenographers and clerk is now onto the stage of examination. If you are waiting to write the exam, there is a pre-requisite to it which is the Bombay High court recruitment 2018 admit card. District Court, Nanded Exam Sitting Arrangement for Jr. Clerk, Peon/Hamal and Stenographers (L.G.) Given Below. This Notice contains all the rules and regulations the candidate must abide in order to successfully write the BHC Exam. Click Here for more details. For further details regarding BHC Exam Date and Bombay High court exam Venues, kindly follow the link provided below. Candidates are urged to notice that the BHC Exam Date are different for different districts. kindly ensure that you have recognized the Bombay High Court Exam Date and BHC Exam Venue for your District Court. Download Exam Sitting Arrangement as per District Courts as per your region. 8921 Jr Clerk, Stenographer, Peon/Hamal vacancies still going on. During the process of recruitment, shortlisted candidates were direct to submit printouts of application form and collect their hall tickets from concerned District Courts. According to the sources, the admit card will be released one week before the exam starts. The admit card will be issued to only those applicants who qualify for the eligibility criteria given by the Bombay High Court recruitment notification guidelines. The candidate will be able to download the admit card by entering their details such as Registration Number, Date of Birth etc. The admit cards, this year, will not be available to the candidates by post rather they will only be available on the internet. 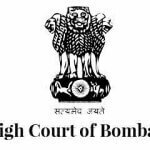 The Bombay High Court recruitment notification which came up for the posts of Peons (hamal), Stenographers and clerk starting its application progress by the 27th March and the last date to apply for this recruitment notification was April 10, 2018. These 8921 Vacancies were required to be applied online from on the application form on the official website for a stable career in the government. Govt jobs in Maharashtra or more specifically in Mumbai (Bombay) are like a dream come true for several people. So if you have already applied for the exam and are eagerly waiting for the examination to commence, then don’t wait longer, for the admit card will be released soon. The admit card is a documentary piece which you need to carry around with yourself during the time of the exam for which you are appearing. In this case, if you want to clear the Bombay High court exam, then you need to first have the admit card, which will be soon released on the official site and also on our site with a shortcut to access it directly. There are around 8921 Vacancies which need to be filled by able, talented applicants. After a gap of around three years, Bombay High court has released a recruitment notification for such a large number of vacancies. So if you get selected, you must consider yourself lucky. How do I download Admit Card Online? Click on the link given on our site and enter your details like Registration Number, Date of Birth on the page which pops up. Check if the admit card which pops up is yours. Submit the details and save/ download the admit card. After downloading the admit card, take a print out of the same and preserve it till the exam. The selection for the Bombay High court recruitment is according to the following procedure. The procedure has been enlisted before you below. If you are preparing for the Bombay High court exam, then you must have some idea about the paper pattern of the exam too. That is exactly what we have tabulated here. The main topics to cover, total marks out of which the test is conducted, all are given below in a table format. Other than the Bombay High court Admit card, you also need to carry these documents along with you to the examination hall. PLEASE NOTE: Carrying just one of these cards will not suffice in the examination hall. The candidates must also carry the BHC admit card which will be released soon..
We hope this article satisfies your query of Bombay High court recruitment exam 2018 admit card. If you have any more doubts about this, you can leave down a comment below and we’ll let you know as soon as possible. For latest govt jobs in India, check out our site and to be updated with any upcoming vacancies, subscribe to our website by entering your email address and also by bookmarking us to your favorite browser. Bombay High court peon admit card 2018 is tentatively scheduled to be released on 3rd May 2018 as the exam is so be conducted on 6th May 2018. The Bombay High court (HC) released vacancies for the recruitment of Peons for the Aurangabad bench of the system. Aspirants who were selected after careful screening of the eligibility criteria are now suitable to get the admit card. Applicants can take a printout of the official PDF of the Bombay High court admit card 2018 through the link given below. PLEASE NOTE: Candidates note that without the admit card, you will not be permitted to attend the examination. The Bombay high court exam is scheduled to be held on 6th May 2018 and the hall ticket for the same examination was expected to be out way before this date. But due to some unforeseeable setbacks, the Admit card is expected to release soon. We will be updating our website with the links of the admit card as soon as it is released. So bookmark this site to get the admit card as soon as possible. How to Download Online Bombay High Court Peon Hall Ticket/Admit Card 2018? Go to the link and enter your credentials to log in. After you have successfully logged in, your Bombay High court hall ticket will be on the screen. Download the PDF using the shortcut you like and then print it. Please remember to take it with you during the examination. All those who applied for the post are not going to be able to write the examination. The authorities have put up the Bombay high court selected candidate list which showcases all the candidates who will be sent the admit card through their email address. If you didn’t get your admit card yet, it would be advised to check your name in the selected list and make sure you got qualified. Hard copy of the Bombay High Court Admit Card 2018. A valid ID proof such as PAN Card, Driver License, Adhaar Card, etc. Hope you liked this article about Bombay High court admit card for the Bench of Aurangabad division 2018. If you found this article useful, and want to get all the information about the BHC Hall Ticket / admit card 2018, then bookmark us to your browser and you will get constant updates when the hall ticket releases. You can also enter your email address in the box given above and you will get regular notifications about latest govt jobs in India. If you have any trouble while downloading the call letter, then do comment down below and tell us what your difficulty is and we will clear it out as soon as possible. This vacancy is only for Aurangabad Khandapeeth high court 75 peon jobs. 8092 recruitment still pending for latest update on it. We suggest you to kindly check our website regularly for latest Bombay high court 8092 Recruitment updates.